Basic Requirements: Read one book for each requirement, 12 total. Not sure how I'll do on this one. I've read 10 of the categories in the past just not sure I can read all 12 in one year. 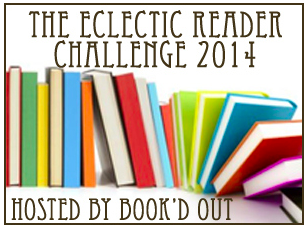 Thanks for joining me in 2014 for the Eclectic Reader Challenge. I look forward to seeing what you choose to read! Ready . . . Set . . . Start! The Winter's Respite read-a-thon is coming! The First Book of 2014 wil be . . . .